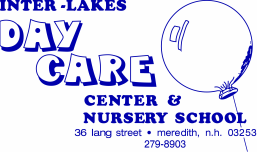 A morning preschool school program is offered 2, 3, or 5 days per week from 8:30am to 11:30am. We start the day with breakfast so everyone is off to their best start, then progress through a routine of circle time, art and music, small group learning, dramatic play, and finally the morning ends with playtime outside on the playground. Weekly and bi-weekly themes are explored year-round through a hands-on approach to learning. Teachers follow the lead of children's interests expanding depth of learning as appropriate. Curriculum includes the areas of math, science, social studies, pre-reading/language arts, health/safety/nutrition, music/movement, and creative art. An extended full-day preschool program is offered for 3-, 4- and 5-year olds. All of the information in the above Morning Preschool section applies to the full day preschool program as well. Curriculum is appropriate for each child's age and abilities. A mixed age group of 3- to 5-year olds allows for children to progress at their own rate. Mixed age groups are valuable for younger and older children alike as younger children learn from older students, and older students are proud mentors for those younger than themselves. Children receive meals and snacks throughout the day at no extra charge to families through I-LDCC's participation in the USDA's Child Care Food Program (CACFP). Children must be fully potty trained prior to their first day as a preschooler.